This recipe is inspired by a dish at Freshcraft – a Denver restaurant focused on fresh from-scratch food and a strong line-up of craft brews – that was recently removed from the menu, a sad discovery upon a recent visit. 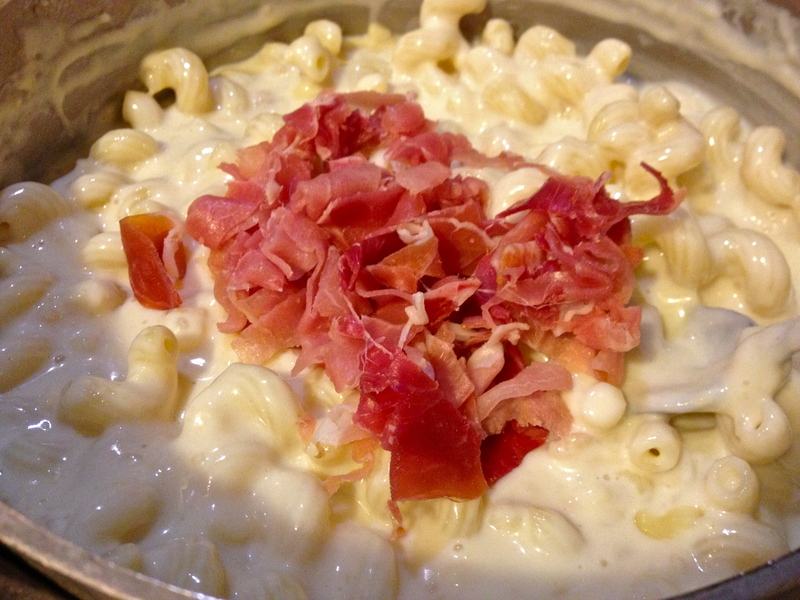 Gourmet mac n’ cheese is always a favorite but add prosciutto and sun-dried tomatoes? I was skeptical at first too, but upon first bite I was hooked. Thus, my extreme disappointment and lingering craving upon realizing the SDTP Mac n’ Cheese had been replaced by an adequate Mac n’ Cheese pie dish on Freshcraft’s menu. So, to fulfill my craving, I had to resort to my own resources. 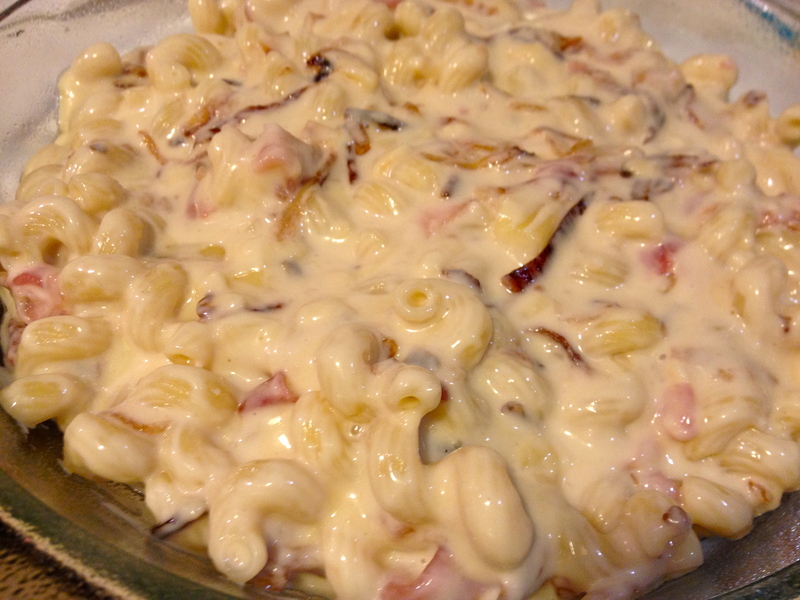 This gourmet mac n’ cheese is great on its own but thinly sliced prosciutto, sun-dried tomatoes, and slightly crisped caramelized onions, add an extra pizzaz I’ve found nowhere but Freshcraft – and now, my kitchen.. Once sharp Gruyère, smooth fontina, and oh so decadent white truffle oil are added to the mix, the pasta is baked to gooey perfection while the top becomes a savory golden crust of fresh French bread crumbs, parmesan, and garlic. 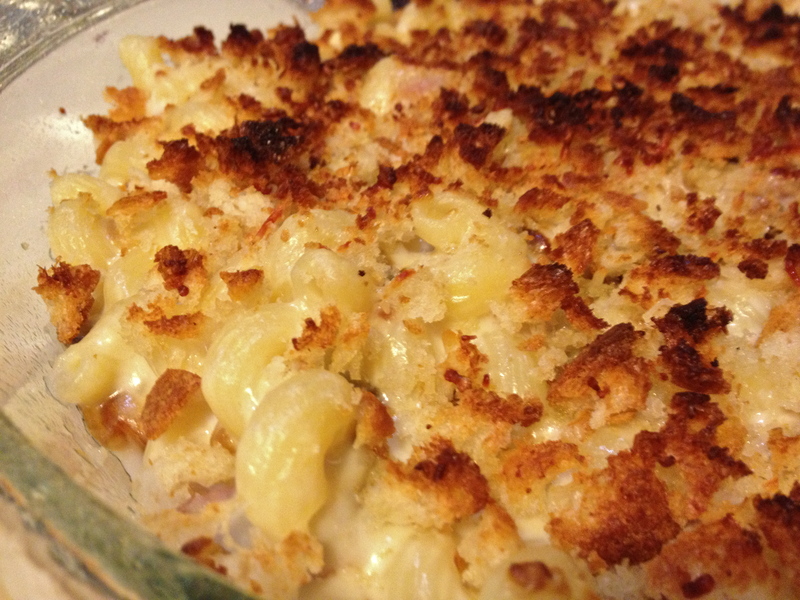 Life With a Little Spice’s version is entitled SDTPT – Sun-Dried Tomato Prosciutto Truffled Mac n’ Cheese, as the white truffle oil (well worth the splurge, as you will only use 1 tsp) is a highlight, taking this already decadent dish to a whole new level. Serve with a simple salad of bibb lettuce, tomato, avocado, and French dressing. 1. With a sharp knife, thinly slice onion. 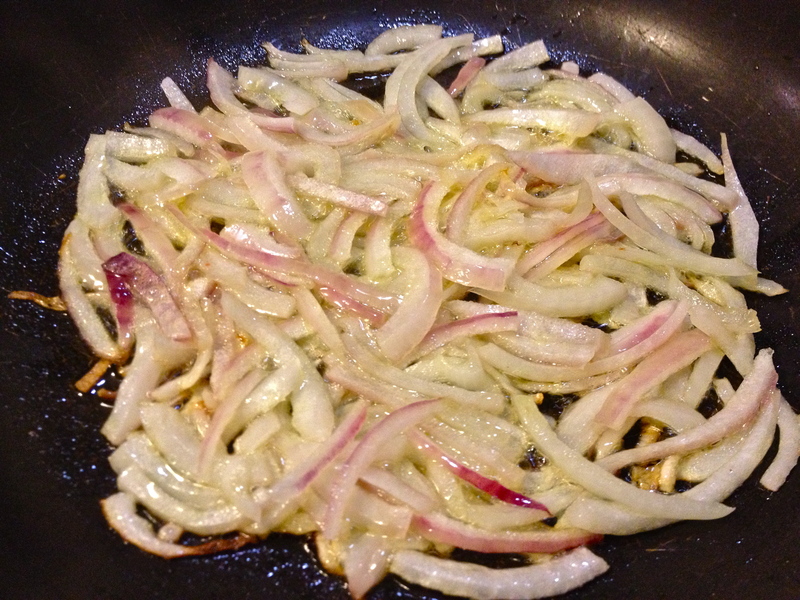 To caramelize: Heat 1/2 tbsp oil in a medium non-stick skillet over medium-high heat, add onion and stir. Reduce heat to medium and drizzle 1 tbsp oil over onions, dollop butter in center of onions and stir into onions with a wooden spoon until melted, cook for 10 minutes. 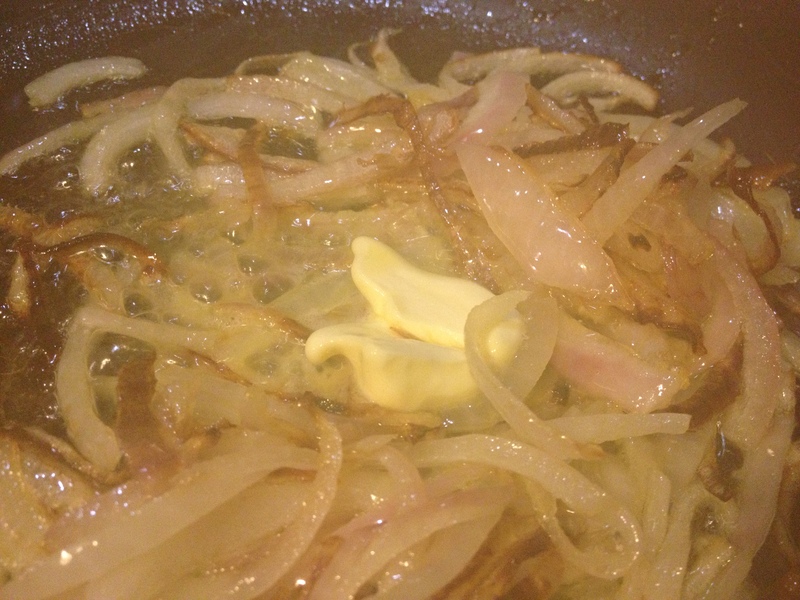 Using a spatula flip onions over, cook for another 10 minutes, adding more oil if necessary so onions do not burn. 2. While the onions are cooking, bring salted water to boil in a large pot. Add Cavatappi and cook for 10-12 minutes, or until noodles are soft. Strain and pour noodles into a clean bowl, set aside, covering with a paper towel. 3. Heat milk and bay leaf in a large saucepan until tiny bubbles form around edges and milk begins to form a thin film on top. Strain mixture through a colander into a bowl, discard solids, and return milk to saucepan over medium heat. Gradually whisk in flour until well combined. Bring mixture to a boil and cook about one minute, stirring constantly. Remove from heat. 4. 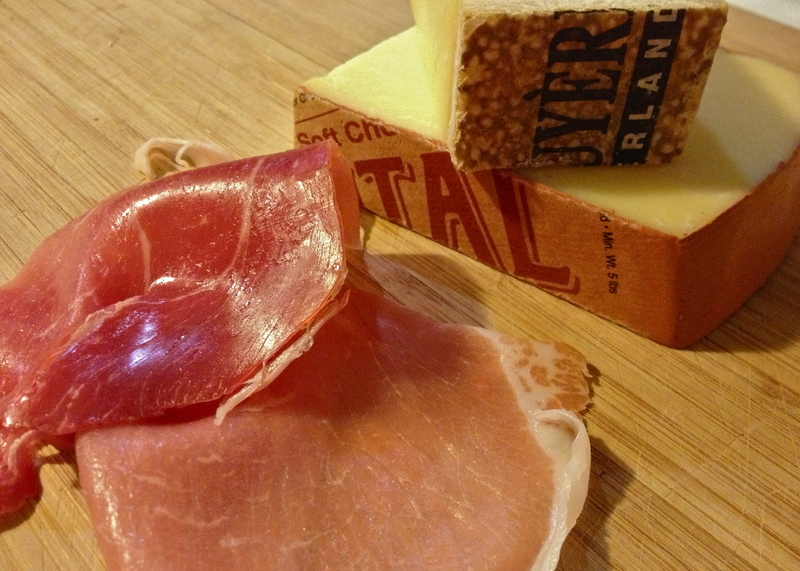 Gradually add fontina and Gruyère cheeses, stirring until cheeses melt and the sauce begins to thicken. Stir in nutmeg, pasta, and truffle oil until well combined. Add prosciutto and crispy caramelized onions, stirring until coated with sauce. Transfer mixture to a glass pie dish coated with cooking spray. 5. Preheat broiler. While the broiler is heating, add bread, Parmesan cheese, and garlic to food processor, pulse until coarse bread crumbs form. Drizzle with olive oil and pulse again until bread crumbs are finely chopped. 6. 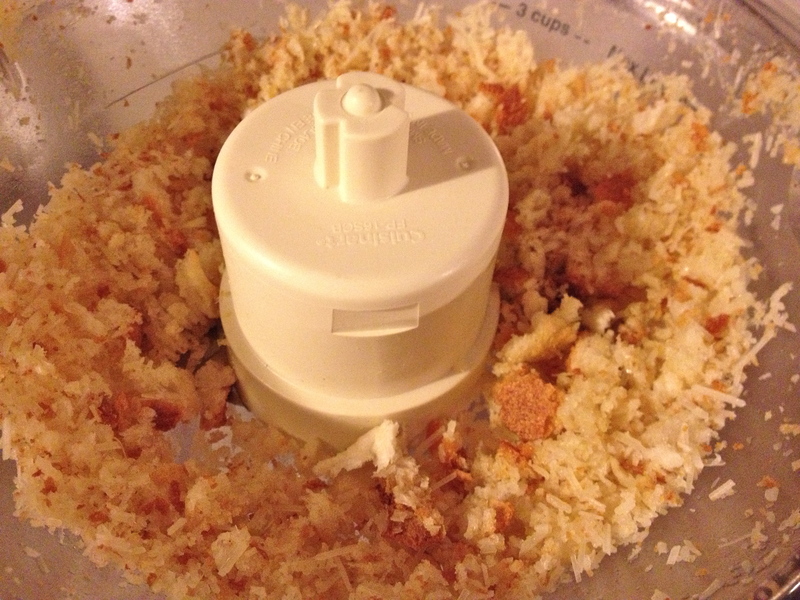 Evenly spread bread crumbs over pasta. 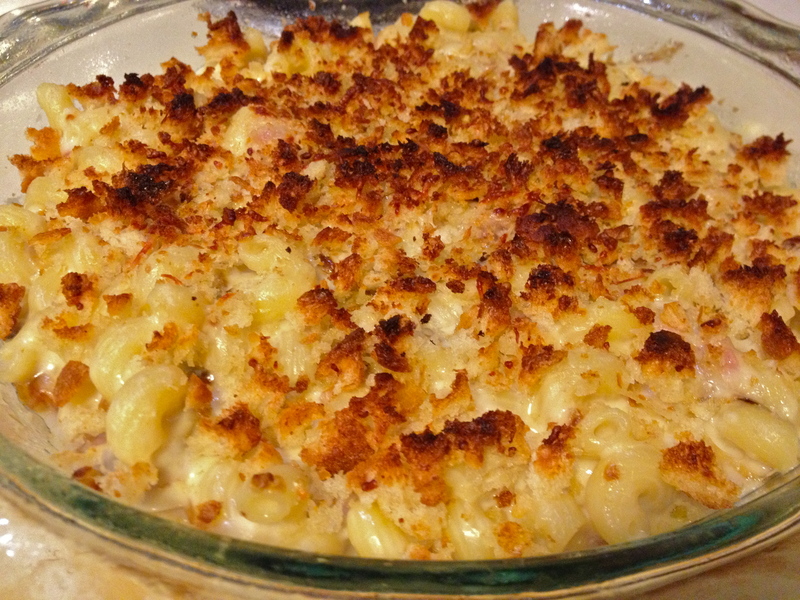 Place dish on middle rack in oven and broil about 4 to 5 minutes, or until crumbs ar golden brown.